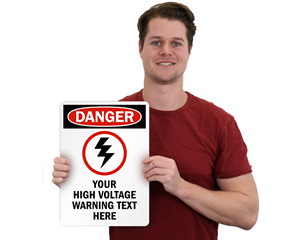 Tackle safety hazards unique to your workplace with Custom Workplace Signs. Keep your workers informed about potential hazards and the safety measures to consider at workplace. • Select from an array of customizable templates. • Use our online custom wizard to design a unique workplace sign. • Preview your design and tweak it as many times as you wish before you finally hit the buy button!